Just before the sunset prayers, Sunday, some thirty non-members of gathered at the Aylmer Mosque on Park Street for a vigil. “It is so sad,” one woman told the Bulletin. “I want to stand in solidarity with all peace-living people around the world,” another said. Mosque leadership invited the group inside to share space and grieve together. 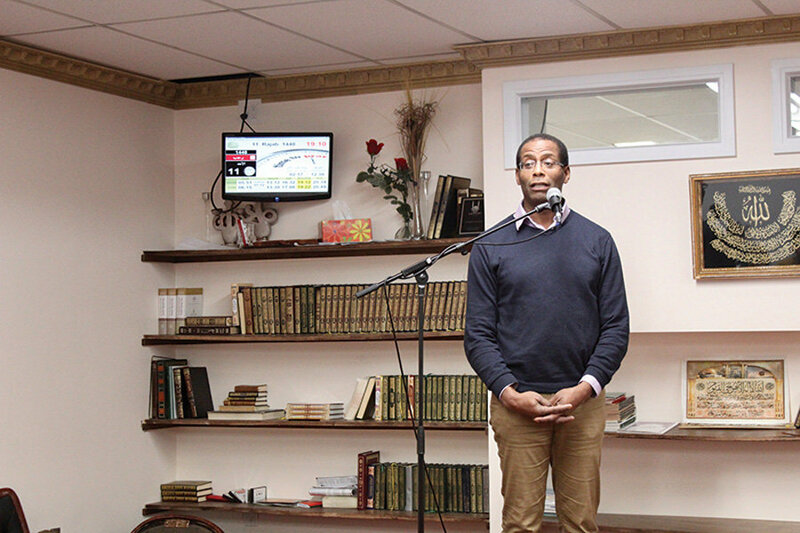 A speech by the Aylmer Mosque Association’s Abdelfattah Salim, opened the event. It can be read in the original French and also a translation, on page 6 of this edition. Speeches by Federal Hull-Aylmer MP Greg Fergus, as well as representatives of the women and youth congregations were shared as testimony to the local commitment to live without hatred.